Nexon Co., Ltd. is a global developer and publisher of free-to-play (F2P) PC and mobile online games. Nexon was founded in Seoul in 1994 by Kim Jung Ju and Jake Song, Nexon's headquarters is currently located in Tokyo, Japan. Nexon is currently a listed company in Tokyo Stock Exchange. What I am talking is Korean Nexon. 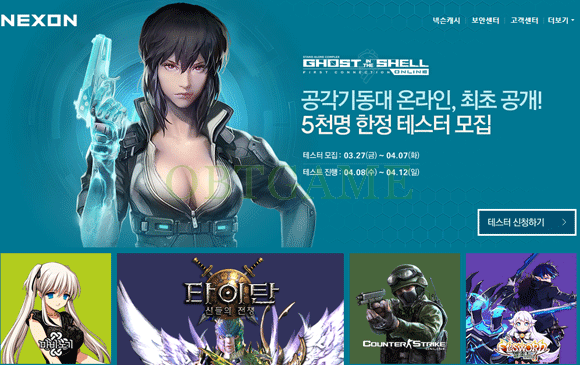 There are many online games are under Korean Nexon. Such as Maplestory, Sudden attack, elsword, Vindictus, DOTA and so on. Please tell us the game under NEXON you want to play during placing order. We will send Email to notify account info. * Support to play DOTA2 on Steam. took a while but i got what i paid for so it all good. I was skeptical at first, but satisfied in the end. I usually don't buy accounts from sites like this. It was my first time but I figured I'd give it a go. I waited about 2 hours and contacted them directly on Skype. Half an hour later I received a reply and shortly after was given access to the account. Everything seems to be working correctly for now. I would recommend this service as the price is fairly decent compared to other sites I've visited. I received the account information 5 hours later after the purchase and it worked perfectly. The email was very clear and they also have me a guide to change the password. It is 100% safe ! Thank you! I forgot to review. So far i can use this account. Great game and great seller. Thank you very much!! Really fast Service, nice support and no issues what so ever.